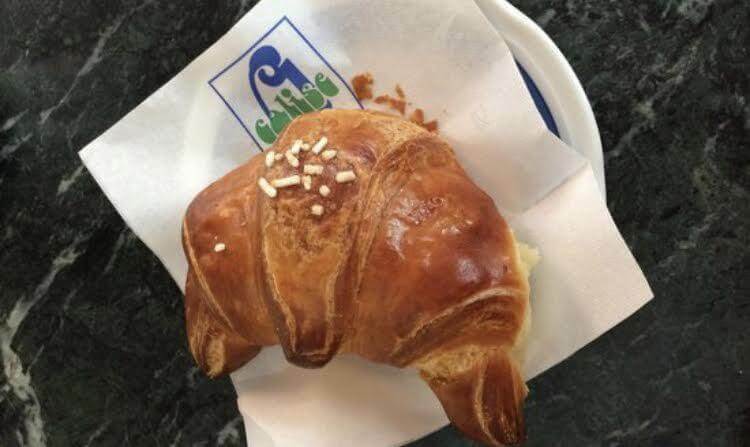 Is it really a trip to Italy if you didn't eat anything? It is like asking “do you really need oxygen to survive”? It’s probably safe to say that Italy can be defined, in our eyes, as the food capital of the world. The tradition, the flavours and the natural resources alone make the simple home cooked meal the most transcending experience to ones taste buds. Now, as an Italian would point out, pick a side, Nord or Sud. We’re going South, and to Ischia nonetheless. 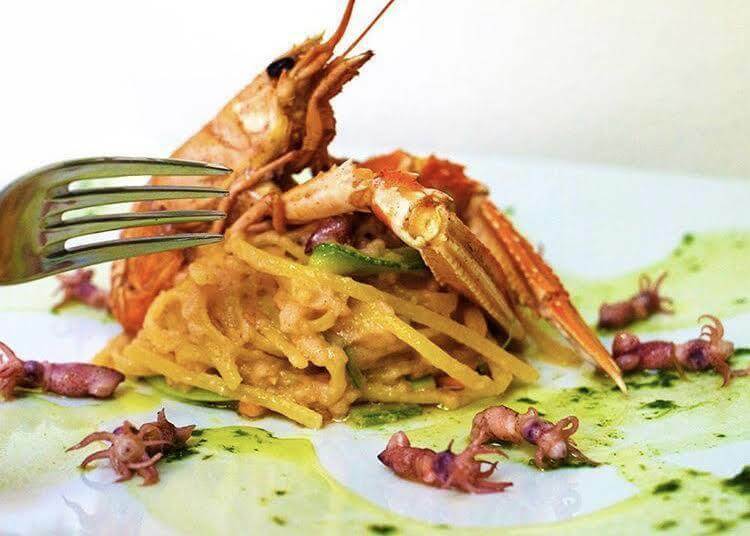 The food scene in Ischia is nothing to joke about. The environment itself has cultivated the perfect growing conditions to any type of vegetation or produce. Each tomato, clove of garlic and eggplant in Nonna’s eggplant parmigiana can be picked from the neighbor's backyard. The islands conditions are sat ever so slightly on volcanic soil which gives the produce rich nutrients and flavour. When you book your boat tour and visit the island in June, the shocking sight of the green cornucopia that embellishes the scene is truly a dream. And frankly, it’s what you’ll be eating (or drinking) at any one of these restaurants listed below. What they all have in common is not such a hard secret to figure out. It simply lies within the realm of “Sticking to what you know, and making it better”. Now, how do you choose? We, at Ischia Charter Boat, have crafted up and handpicked 10 spots for your to indulge in. This list alone will keep your trip packed with flavour, ambience, stories and tighter clothes. The scenery will have you feeling like a local and the food will have you leaving like family. And the best part about Ischia is the way to cure yourself of a full night out. It’s to wake up and head to the port, sleep on the boat in the bay of Cartaromana for a day of swimming in the sun, and eating all over again. 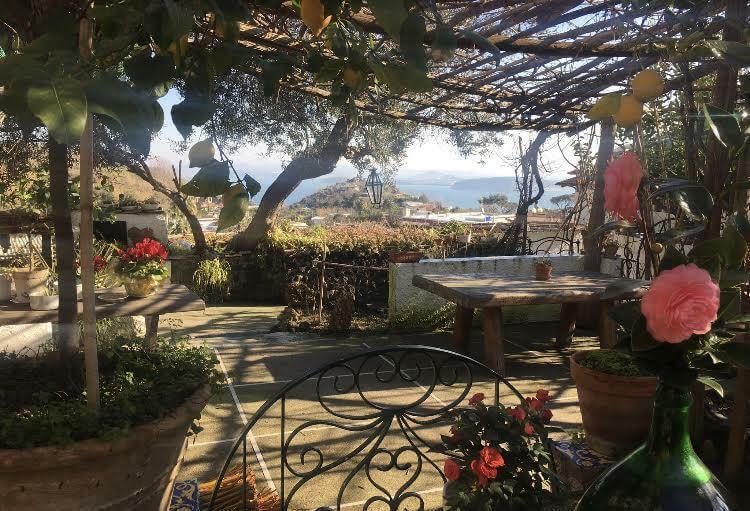 We cultivated this list not in order of favorites but we recommend La Vigna di Alberto to be your first stop of the vacation when in Ischia for dinner. We’ll start with the location, it’s not only Alberto’s home but his vineyard and garden as well. Located up the mountain where you take a small cab ride to it from Ischia Porto, lies Ischia's most beautiful hidden gem. 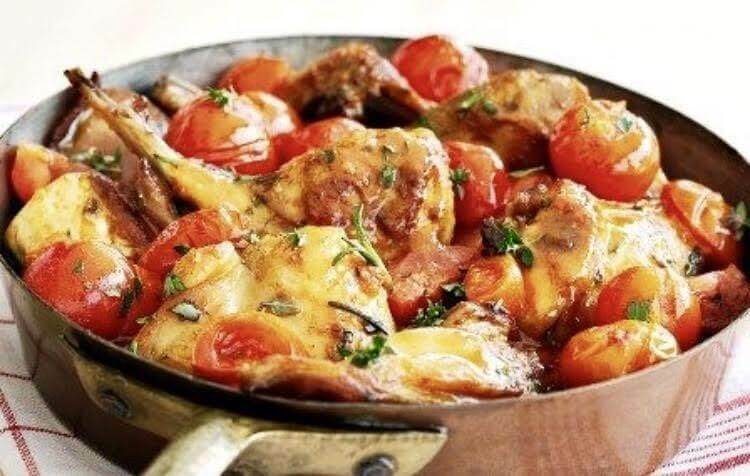 They’re also known for serving the islands most traditional dish, Coniglio all’Ischitana. Since it’s in a vineyard, you only need to be thinking about one thing when it comes to what wine you’ll be drinking that night, red or white? The food that is then served to you is the food that they have prepared for that evening. So that means no menus, no specials, no headaches, just are you hungry and happy to be here? Then you are in the right place. Everything is served family style so we recommend going with a group to really make it an affair to remember. 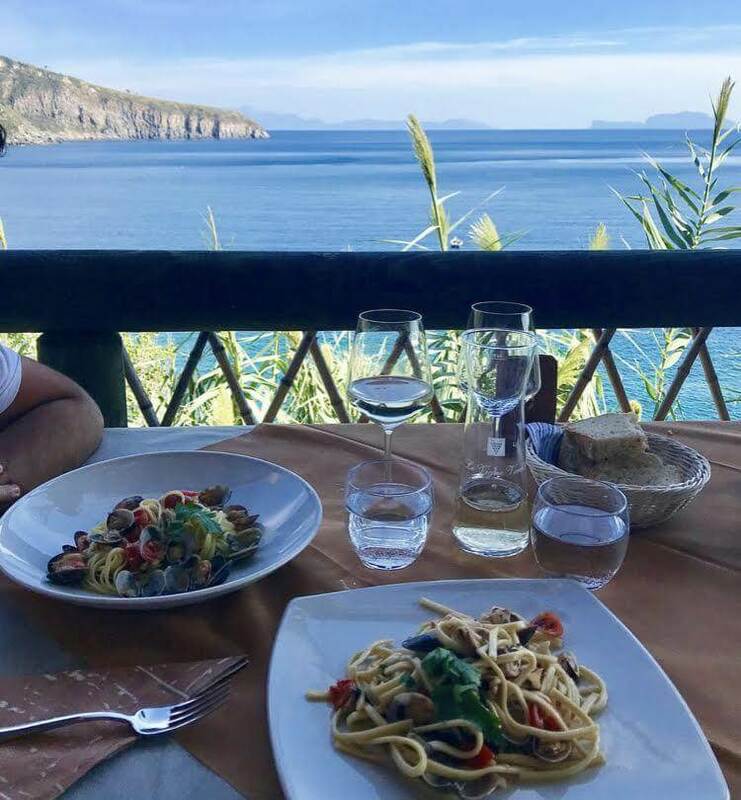 Located at the edge of Ischia Ponte, where many films and HBO’s most recent international splendor, My Brilliant Friend, was filmed lies the chic yet traditional and casual yet rich restaurant of Aglio Olio e Pomodoro. This location is everything. All the tables are outside next to street decorated with traditional Ischitan fare that really makes it look like one of those balconies you see depicted in the movies. 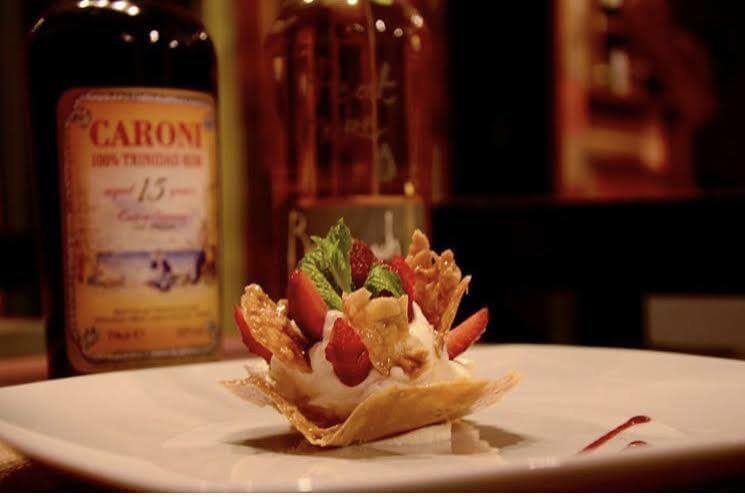 Ran by owner and Chef, Marco Taliercio. The food is dishes that he likes (pasta, antipasti, fish, pizza) served in a place that he would dine at. This restaurant is not missing any kind of personality or heart. It's the perfect location if you’d like to be dropped off by boat and is the perfect walking distance to explore Ischia Ponte and Castello Aragonese if you can still move after the meal. If you don’t know by now that the name itself means Garden, than you’ll surely be reminded once you walk down the 40 something steps to reach this bayside dream. It truly is like eating in a seaside Garden. We recommend arriving by boat to avoid the trek down but this location is nothing to overlook. The best dishes are the Fritto Misto, the Eggplant Parmigiana, the Grilled Langoustines and the Frutti di mare. This is the perfect location to enjoy your lunch, beachwear is encouraged as you sip peaches in cold white wine while staring at the Ninja in the bay with the Castello Aragonese in the back of this painted landscape. There is literally nothing more gratifying in the world than this feeling. This is one of the oldest restaurants on the island and located in Ischia Porto. Here you will enjoy a meal as if you were Neptune himself. This family-run restaurant serves the best raw seafood on the island. Crudo, oysters, langoustine, ricci and anything else that may come to mind. One of the best experiences I had here was after the boat trip that day, we were able to catch our own fresh tuna. Our captain brought the tuna for us to the restaurant where the chef created our own crudo from the fish we caught that day. It was incredible! I don’t believe this would be able to happen anywhere else other than Ischia. 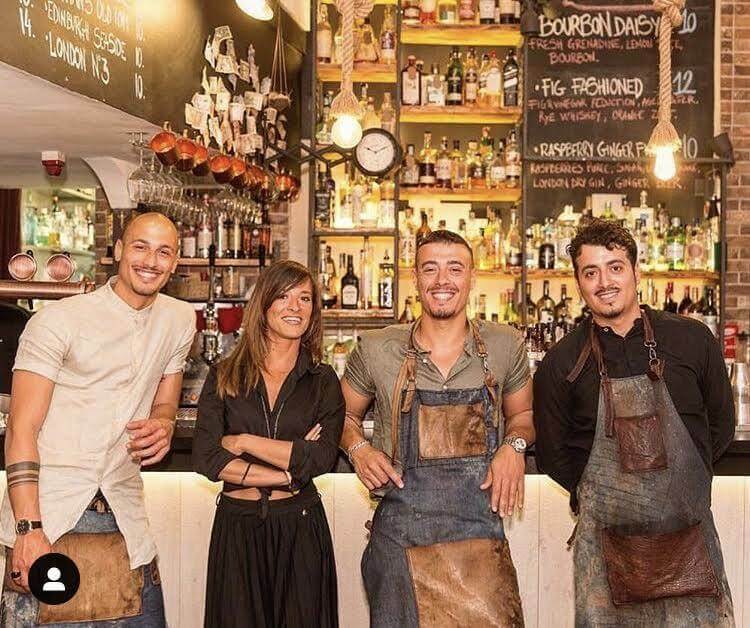 Here is a moment where we can slow things down a bit as Da Ciccio is the best location to run into the new friends you’ve made throughout the week. Here you will grab a cornetto and a coffee or a gelato and sparkling water. Whatever it may be it will be the perfect amount of fuel to re-gas your gears for the rest of your explorations. This is, hands down, my favourite place on the island. It is a family run business where the 4 Mancusi siblings do all the cultivating and curation of culture at epic proportions. It opens at 5 pm, perfect time for sundown and aperitivo on the port. The music is present, the ambience is raw, and the artwork is fresh. The energy here is, more or less, too cool. And you can see it in the family as a source. The food is traditional with spinoffs that make you question everything else you’ve ever been eating in your life. And the cocktails are proper. 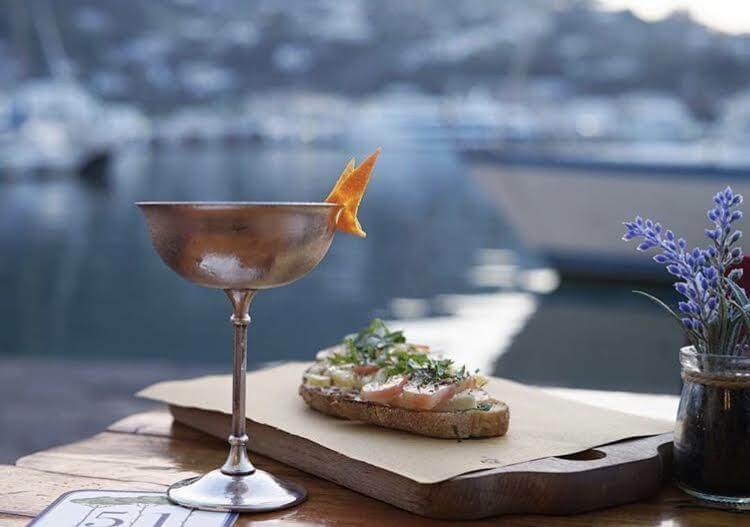 For not only just Ischia but Italy as a whole, the cocktail program they have at this bar can be considered World Renowned as many of the inspirations behind the recipes are travel inspired. 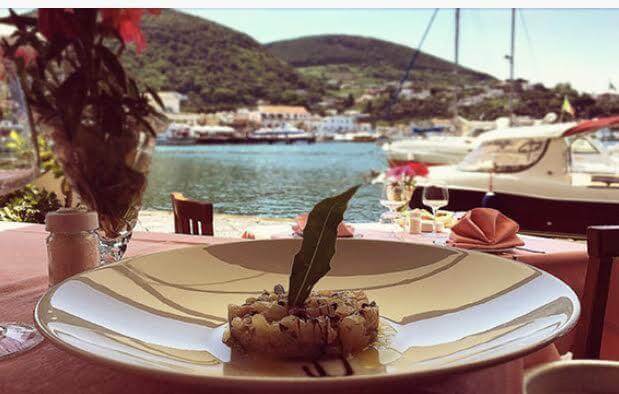 It’s the perfect kind of fresh air that Ischia needs and you will most likely end your night waiting for a table at the islands hottest spot. If you’re in search of more tradition, walk down a couple of blocks to this street side destination for an Aperol Spritz and a zingara. The vibe here is created by locals, for locals but that doesn't mean their doors are closed to tourists. We’re switching up the scene and heading to Forio. 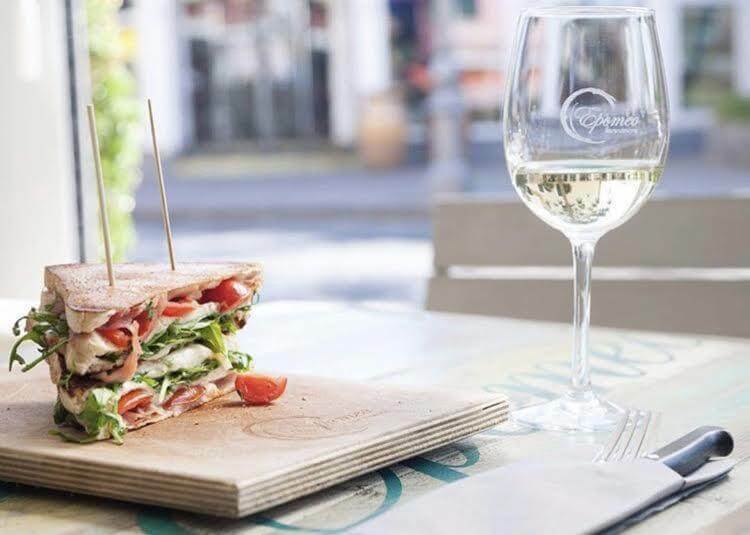 Tiatardi is a casual sandwich bar perfect for post-Sunday sundown beach party at Bagno Teresa. The scene in Forio is one of eclectic art and youth. If you’re looking for a good dance and on Citara beach nonetheless, Forio is the area to explore. This is truly a hidden secret that can only be reached by boat. Off the trails of the coast, around the bend of the bay, you will begin to see an idled dock lined with umbrellas. Sitting about 8 stories above is the restaurant itself. The view is of endless horizon and the vastness of the ocean. Again, the ingredients are sourced from their own garden and seafood from the waters you are dining next to. But the cuisine itself is innovative, new, with a hint of tradition. The flavours here are of the Mediterranean and they serve the best octopus on the island. Truly, it’s something that only Ischia Charter Boat can grant you local access to. This is the newest, innovative and creative kitchen of the island ran by The genius cheff Emanuel di Liddo. This is the heart in the home of the hydrothermal park Negombo. This lush scenery is the best ambiance for high end access to this culinary treat. 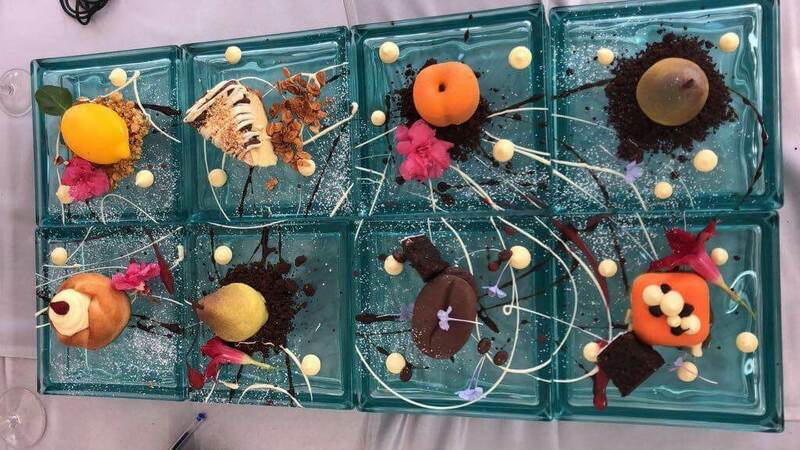 Everything is delicious as the food you see to the eye does not match the explosion that your taste buds bare witness to. And the star of the show is saved for the end, where the dessert, with no pun intended, takes the cake. You know when you picture those old beach clubs from the 1950’s? Welcome to the picture that is Bagno Teresa. Citara Beach club and bar by day, and dance haven by Sunday night. Ran by owner Flavio, this place has some serious soul. The resident dj’s are always on point when spinning so close to the elements that created us. 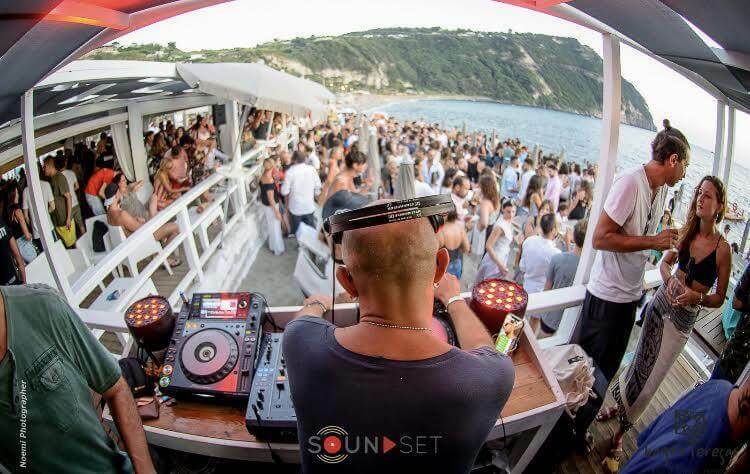 The combination of sounds that is house music with the ocean waves is every eargasm you could ask for. 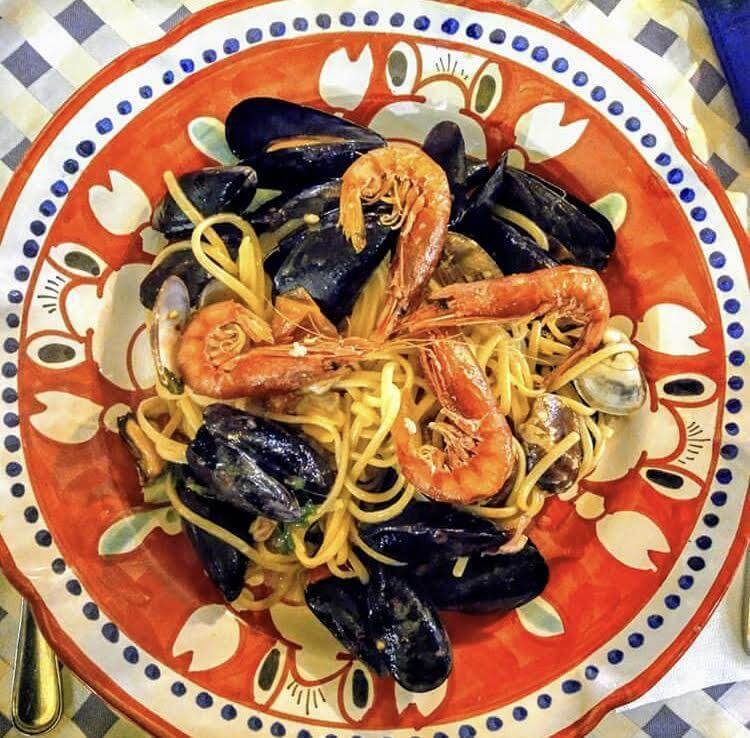 They have traditional items such as bruschetta, spaghetti and vongole and zuppa di cozze. Posted 1 month ago by Administrator. Elena Ferrante's My Brilliant Friend tour of Ischia. Another movie shot in Ischia, another reason to discover the Green Island!